Here in sunny Los Angeles, our local Renaissance Faire is currently entertaining every Saturday and Sunday until May 20th. This year, on select weekends they have special themes that they encourage their guests to dress up with. 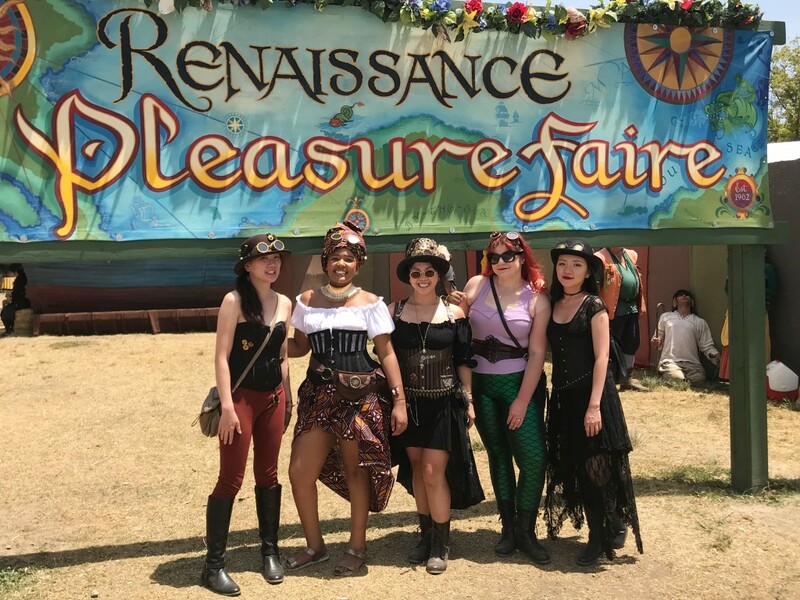 Our Pure Costumes team decided to attend the weekend of May 5th, which was themed “Time Traveler Weekend” which included a steampunk costume contest. 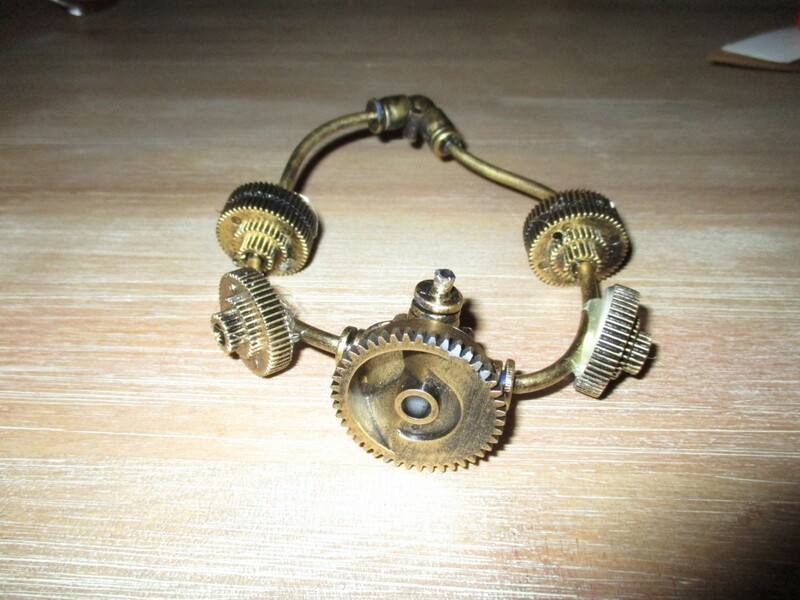 Although we didn’t go to enter the contest, we went to (a) participate in a fun dress up event, and (b) see what other people have come up with for their Steampunk costumes. 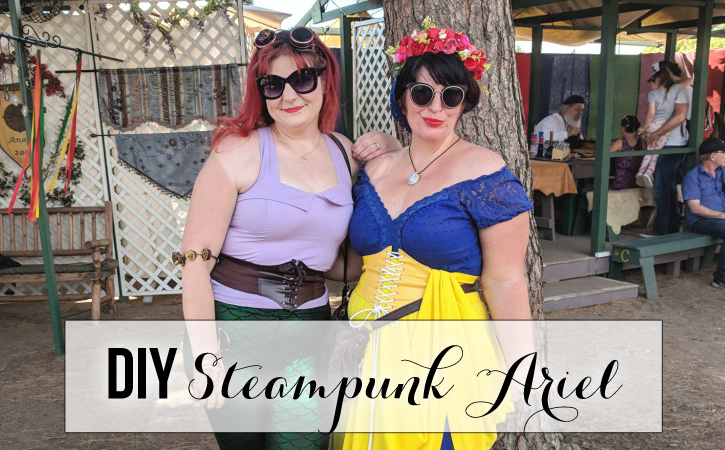 We were not disappointed, there were tons of attendees wearing great steampunk and renaissance themed costumes. 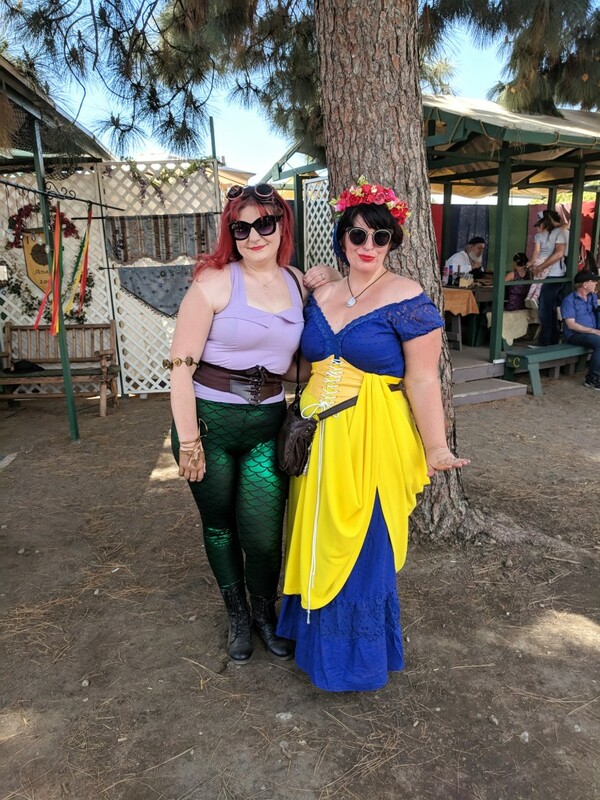 If you would like to see for yourself, check out our Ren Faire Recap post. For my costume, I decided to do a “Steampunk Disney Princess” mashup theme, I elected to work with Ariel as my basis, I have always loved The Little Mermaid, but also, we have very similar hair. 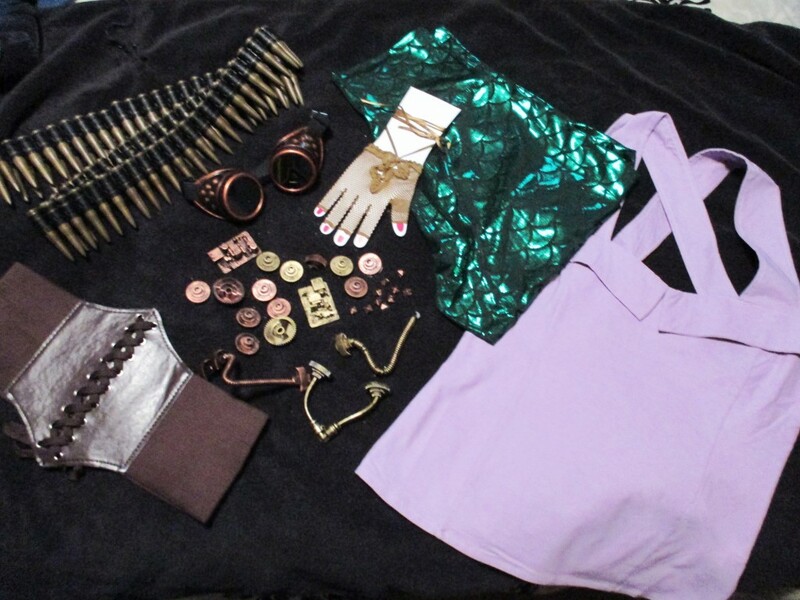 I started with my purple top, “mermaid scale” leggings that I purchased from Amazon, a small brown under-bust corset (also from Amazon), fishnet gloves, goggles, a bullet belt, and steampunk-style gears and trinkets that can be found for cheap on eBay or Amazon. 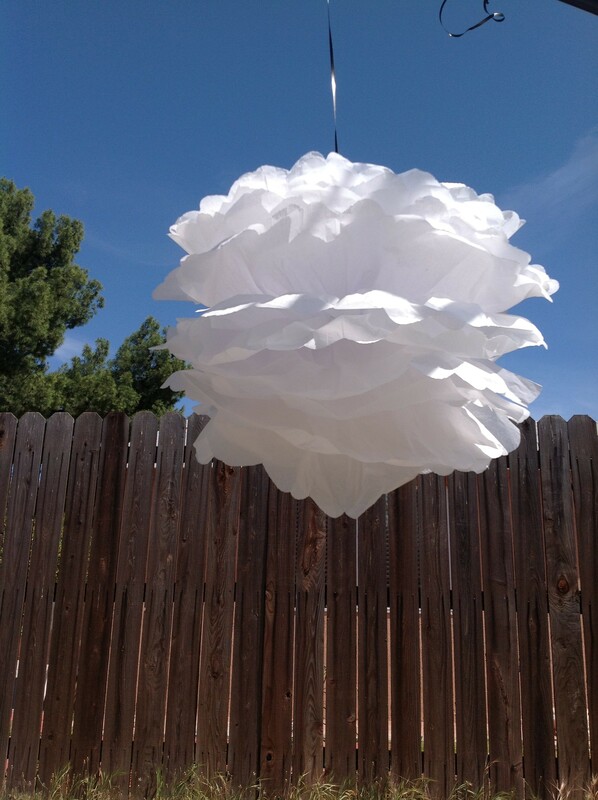 I grabbed my glue gun (my FAVORITE tool for crafting) and got to work! I feel like aside from the top and pants for my costume, I wanted to add a touch more of princess flair, so I added some glitter nail polish to the bronze on my goggles. 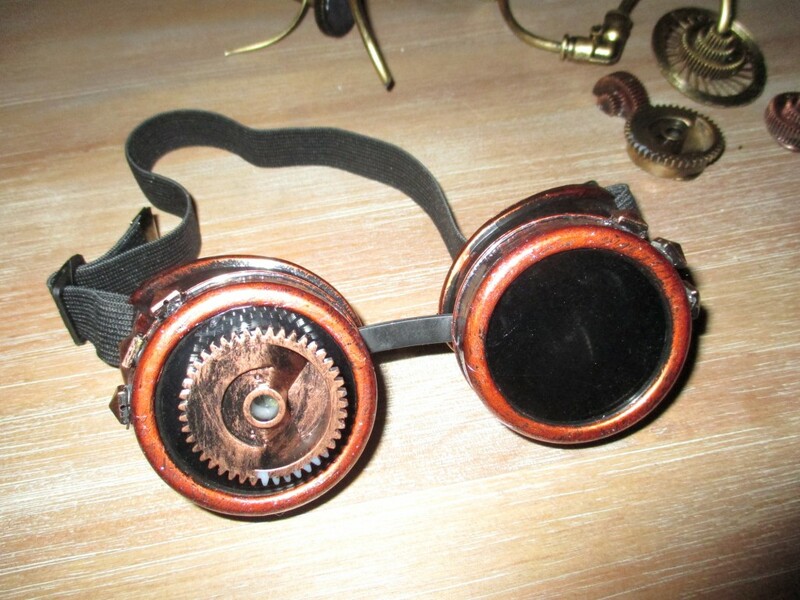 Once the polish was dry, I utilized some of the random “steampunk” pieces I had, which included a few studs on the sides and I glued a gear to one of the lenses. Next thing I put together was a bullet “garter”. 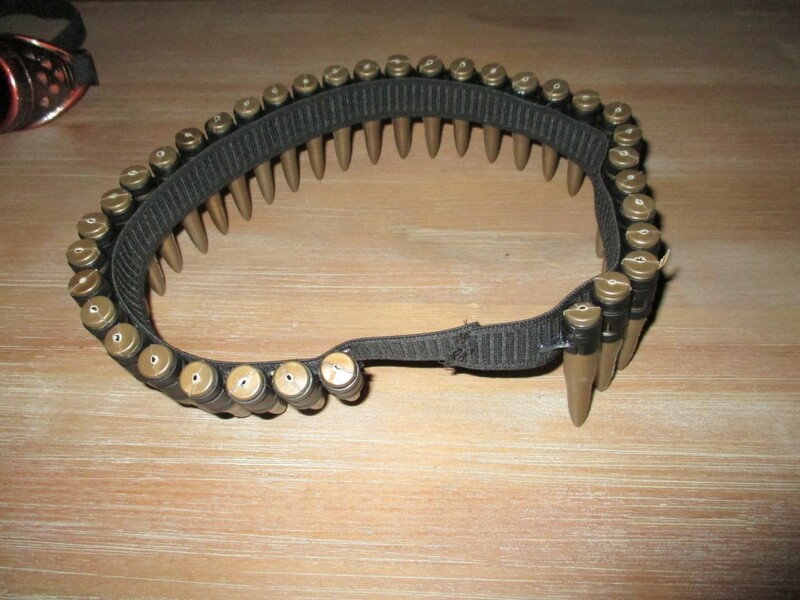 I used thick elastic, and our Molded Bullet Belt to create this. I put the hot glue onto the elastic, and stretched it out until it was pretty taught, then I placed it on the section of belt that I had reserved for this project. 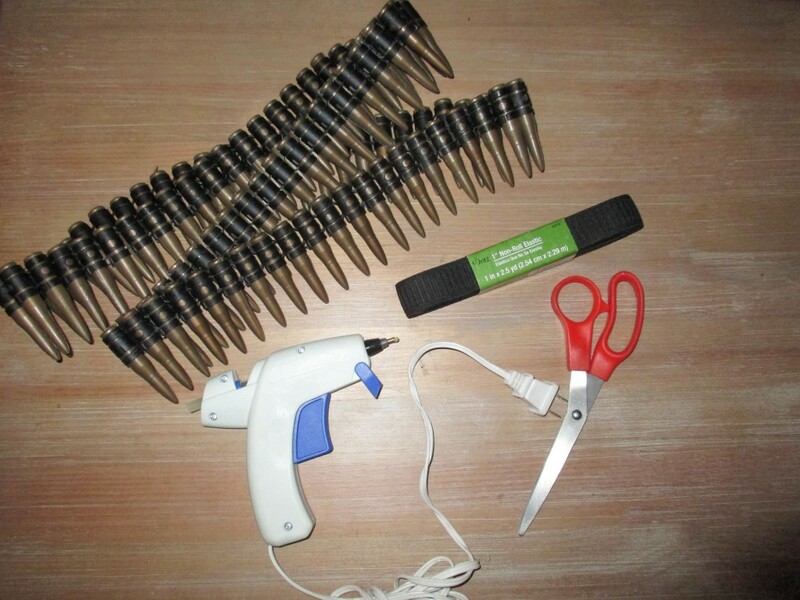 When you’re working with hallow plastic items, you want to be sure you’re putting the hot glue on the less delicate material, otherwise the glue will melt the plastic. I reserved a section of the elastic to leave blank, I knew when walking around if it went all the way around my leg that would make me crazy all day. I finished it off by hand stitching the ends of the elastic together. Finally, I felt like my costume wasn’t quite complete, it needed something. I had an interesting assortment of plastic gears and studs, and a very long piping piece that for some reason reminded me of a Facehugger from Alien (see above). I decided to make myself an armband. I glued 2 pieces that had pipe extensions together, and then I glued a few gears to the outter facing side. I was finally done and ready to show off what I had done at the Renaissance Faire! I wasnt the only one mixing some Disney magic into my costume idea, I came across this Renn-Faire-ready Snow White. 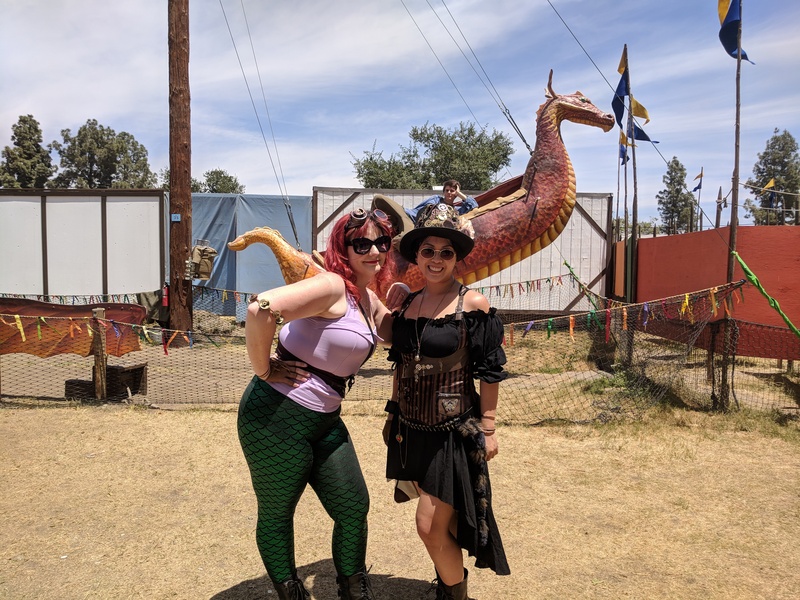 We had a lot of fun seeing random shows, entertainment, and all the costumes at this years Rennaissance Faire. My bullet belt is missing from my photos, because I misjudged the sizing and it kept slipping down off my leg. Oh well, I can perfect it next year. If you’re attempting a bullet garter of your own, make sure it’s really tight, or you might even want to try some Velcro to keep it in place! 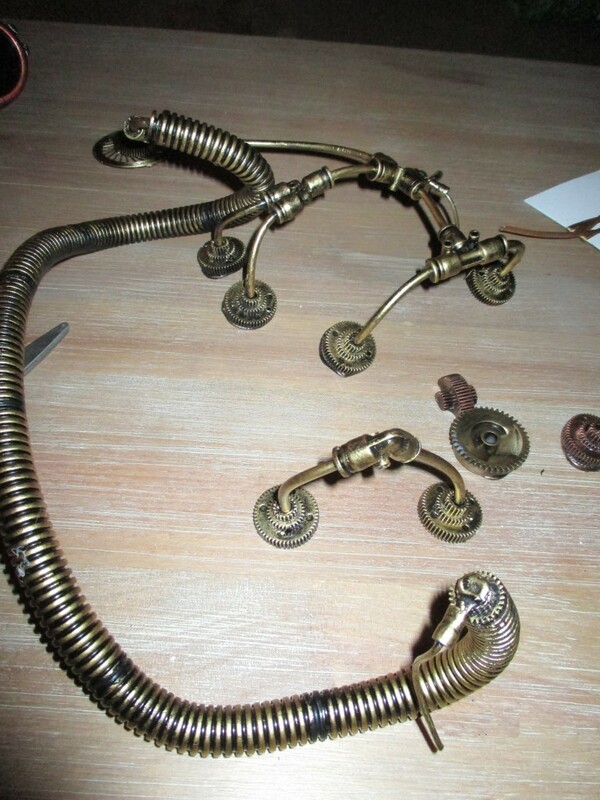 Stay tuned for Lisa’s DIY Steampunk Renaissance look!